Let me start off by saying I really enjoyed the "research" for Alain Ducasse Le Louis XV Restaurant Review. It is a 3 Michelin Star restaurant (arguably the highest possible honor for restaurants) in Monte Carlo, Monaco. Frequently described as one of the world's best restaurants, this place is a sight to see. The chef, Alain Ducasse, is renowned and boasts world-class restaurants across the globe. The decor at Louis XV is beyond opulent and the pomp and circumstance are all part of the experience. 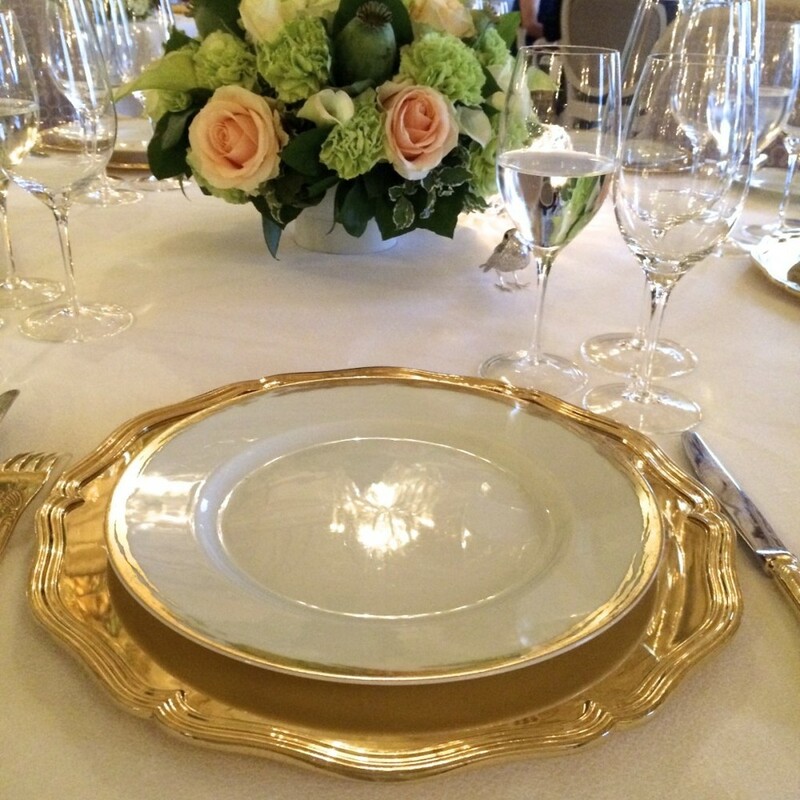 The table setting is beautiful, especially if you like gold (which I do, in case you were wondering). Then they bring these dainty and almost painting-like crackers to the table. They look much better than they taste, to be honest. Then they come by with a cart filled with the real bread. I chose the tomato bread and a semolina bread that looks like an open book. The tomato bread had a strong and sweet tomato flavor and the texture inside was soft and fluffy with a crispy outside. The semolina bread had lots of crunch but I ended up regretting getting it and was eyeing the mini-baguette my mother was ooh-ing and aah-ing over. But, as the saying goes, everything is better with butter. And the butter at Le Louis XV is a theatrical art form. They place a pre-cut block of salted butter on the table, but the sweet butter is scooped from a huge pile of butter table-side, for no reason that I can think of other than pure drama. Once it has been perfectly shaped into a cannelle, similar to ice cream, it is then placed on the table alongside the salted butter. I'm sad to say that our whole table agreed that the little block of salted butter tasted much better than the sweet cream butter with all the drama. After the bread and butter show, we were then given the dessert menu to pick our desserts before we had even had our appetizers. In hindsight, they did that so that we would order dessert before we got too full. I say that because, after eating the bread, butter, appetizer and main, we would not have ordered dessert. Then we got the amuse bouche. It was a mini Salad Niçoise that I absolutely loved. It was almost too pretty to eat. 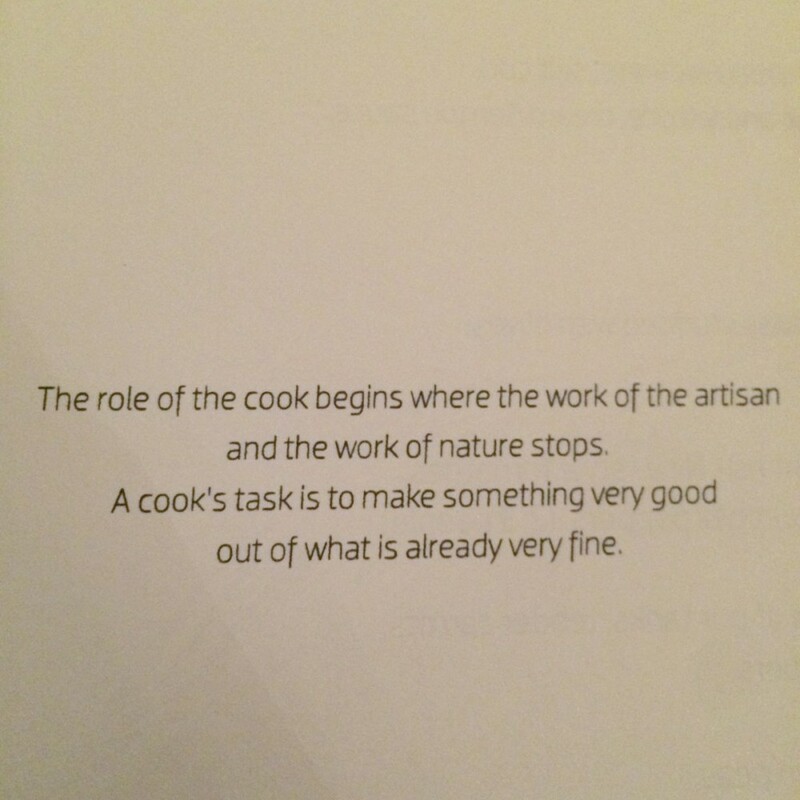 I ordered the Cookpot that Alain Ducasse is famous for. It contains young vegetables, tiny wild mushrooms with the most savory umami mushroom flavor ever and spelt. They bring out the pot with the lid on, take the lid off and then pour the most intensly flavorful broth that makes the vegetables taste like steak, if that makes sense. For my main, I ordered the Milk-Fed Lamb cooked in a fireplace with stuffed vegetables. They bring out the lamb, which I asked to be cooked medium, and pour some more delectable sauce on top. The squash was stuffed with a perfectly seasoned minced squash filling that I scooped onto the lamb. The small brown tomato was filled with caramelized onions that I also scooped onto the lamb, and then ate straight-up until I was left poking at the empty lifeless tomato with my fork, silently screaming for more. The red tomato had a tomato puree inside with the most intense acidic tomato flavor. Not my favorite. The baby eggplant was stuffed with a sort of baba ganoush filling that was ok.
After the main dish and before dessert, they bring out a selection of pastries, vanilla macaroons and chocolates. This is why they give you the dessert menu before you eat. We had already ordered dessert and now we were left with the most difficult decision known to man. Eat the sweets before dessert? Or don't eat the sweets before dessert? I'm sure you can guess which choice I made. I had to taste everything, for work purposes of course, ahem, so I put one of everything on my plate and took little princess bites of everything. Word to the Wise: Don't do what I did. When dessert finally came around, the waiter was so confused and terrified with what I had done because they brought another plate to place on top of the plate that I just filled with desserts. I thought they would replace the plates (just like they did in every other course, mind you). Anyway, we all had a laugh about it and I pretended like I wasn't dying of shame. 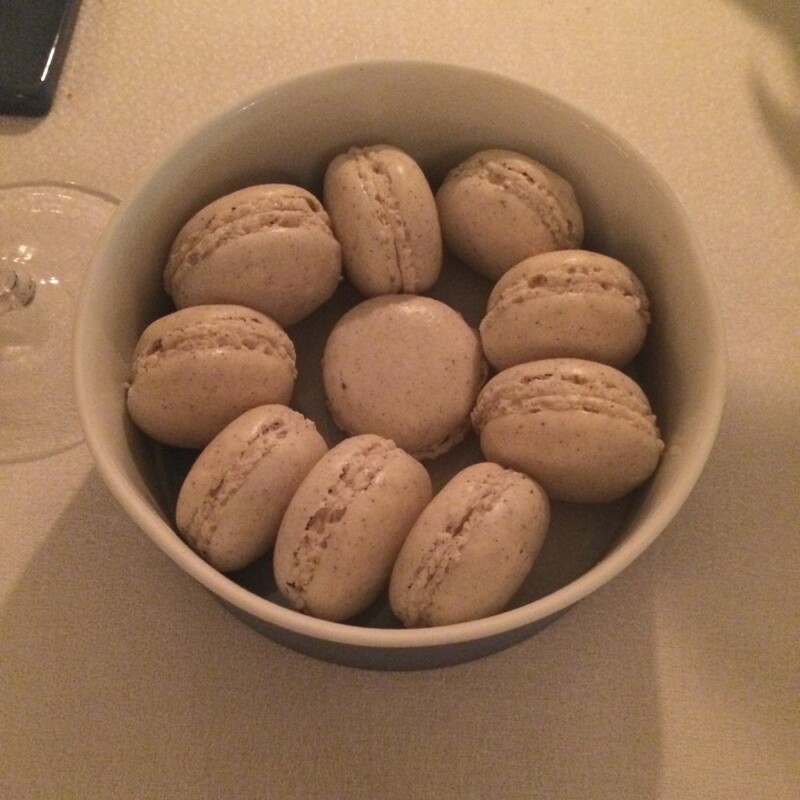 First of all, they are very liberal with the edible gold at Alain Ducasse's Le Louis XV. Secondly, nom nom nom. I didn't photograph the cocoa ice cream with little chocolate crunchies on top, but it was the perfect compliment to the dessert called, black chocolate leaves, caramel and pure sea salt, and cocoa ice cream. As if we hadn't eaten enough, a gentlemen rolled a cheese cart towards us that smelled so strong I could have totally farted a silent-but-deadly and no one would have been the wiser. I wanted some cheese but I was about to explode, so I watched my brother force some cheese down his throat even though he had said he was full a few minutes ago. At this point I was way too full due to my overindulgence research and was getting tired of all the formality. I just wanted to get in my pajamas and relax. Then a magical cart appeared to aid my digestion. They snip the herbs straight from the pots and infuse them table side for you. I chose pineapple sage, which tasted just like it sounds, others dining with me chose mint and lavender. This part of the meal was much needed and appreciated. Finally, when I felt like I would have to be wheeled out of the restaurant, the funny waiter we had been joking with all evening rolled a candy cart by us, daring us to say no. Once again, everyone but my brother said they couldn't possibly eat another thing. Thank god he has an insatiable appetite, otherwise I would have missed the marshmallow cutting ceremony. This particular homemade marshmallow was coconut flavored and apparently, delicious. I wanted to taste, but I just couldn't take another bite without my dress ripping apart at the seams. After the insanely expensive bill coming in at about 300 Euros/$400 a person (and that's without ordering any alcohol), I waddled my way out of the restaurant where a jolly looking man with a French accent said, "Somesing for tomorrow, mademoiselle," as he handed me some more food. I couldn't bear to look at it. I stuffed it in my handbag when I got home, as I sheepishly packed for my 5am flight. Mini hazelnut pound cakes with a delicious spice that I'm guessing is cardamom. All in all, it was an experience worth having if you can afford it (or if someone else is paying). The service is outstanding, you never feel like you need to call the waiters for anything. I love the theatrics as well. No matter which table is being served, the waiters always went around the whole restaurant showing off the food in enormous silver platters held up high. One waiter militaristically brings down the platters, while another performs the act of serving you your plate and artfully drizzling sauces and sprinkling other items on top. The flavors were mostly pleasing. Some bites were ok and others were outstanding. The people watching was pure entertainment.